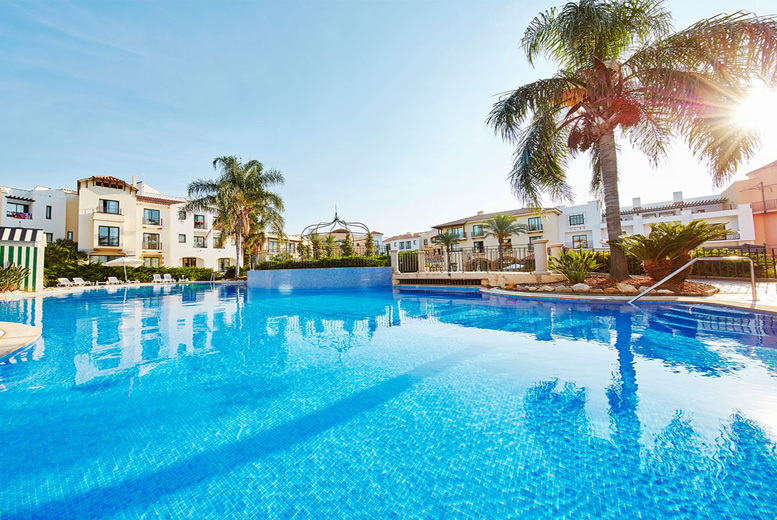 Stay at the Amazing PortAdventura Hotel for a few days giving you unlimited access to theme park and the water park with your return flights included in the price. Where: Salou, on the Costa Dorada in Spain. 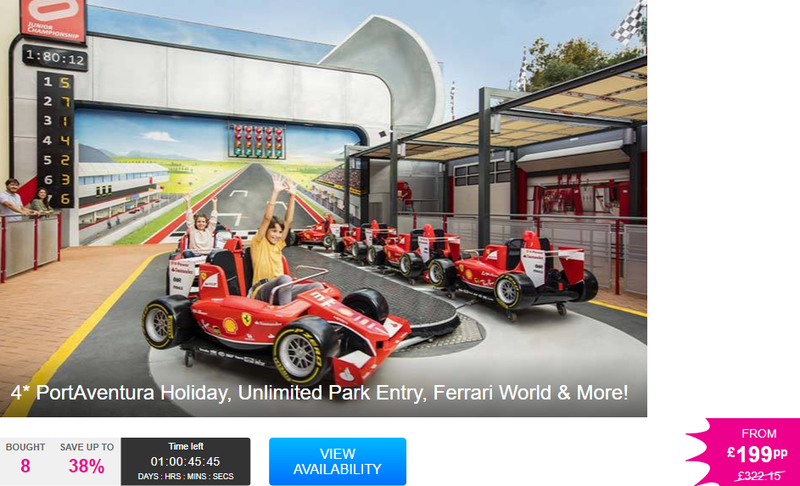 What’s included: A three or five-night half-board hotel stay, return flights, unlimited admission to PortAventura Park and one-time access to Ferrari Land. 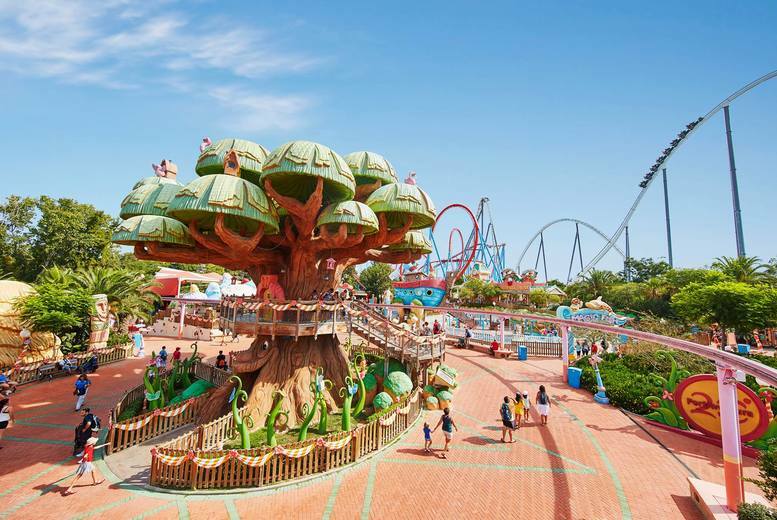 Additional perks: Receive discount on PortAventura Caribe Aquatic Park tickets, preferential booking for table service restaurants in the park, pick-up service at park shops and free parking. Accommodation: Stay in a standard room at the 4* Hotel Caribe or Hotel PortAventura. When: Valid for travel on selected dates until 31st October 2018. Deal Bonus: Infants aged 0-1 can join free of charge, and kids up to 12 can join for just £99pp! 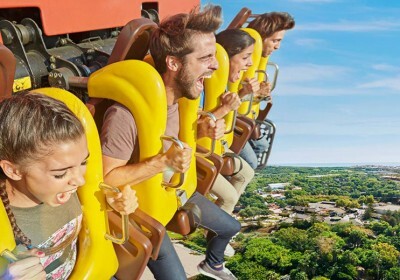 Spain’s most popular theme park destination PortAventura, is packed with countless exciting attractions – from the ‘Forest of Fear’ to the highest rollercoaster in Europe! But if you’re not quite of the thrill-seeking persuasion, you could always check out a live show, take a dip in the pool, or even explore the park’s fantastic range of restaurants. Whatever you get up to during your stay, there’s sure to be something to keep mum, dad and the kids happy! The stylish 4* Hotel Caribe is sure to transport you to a tropical Caribbean paradise. Today’s deal means you’ll be staying in a room suitable for two adults and two children. The modern en-suite accommodation boasts flatscreen TVs, air conditioning and even a private balcony. Each morning of your stay, you’ll also get to enjoy a delicious breakfast – the perfect preparation for a day exploring the park!